The Sun Belt lived up to its nickname this past weekend, providing some fun matchups across the board. 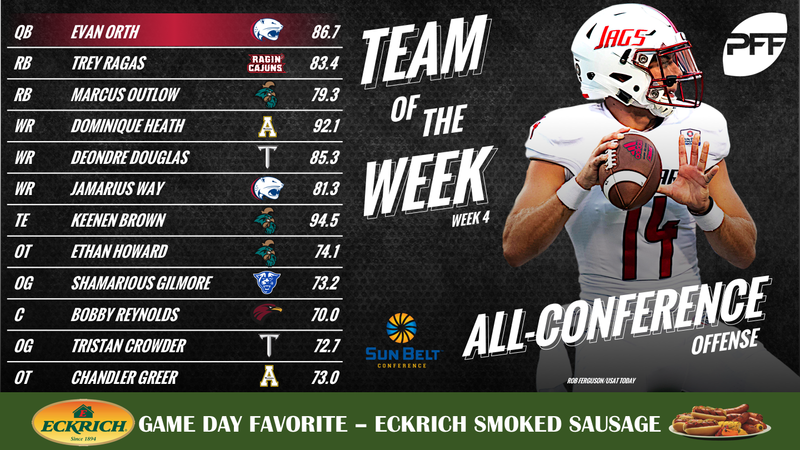 Before we head to Week 5, take one last look at the Week 4 Team of the Week in the #FunBelt, showcasing the top individual performances across every position. 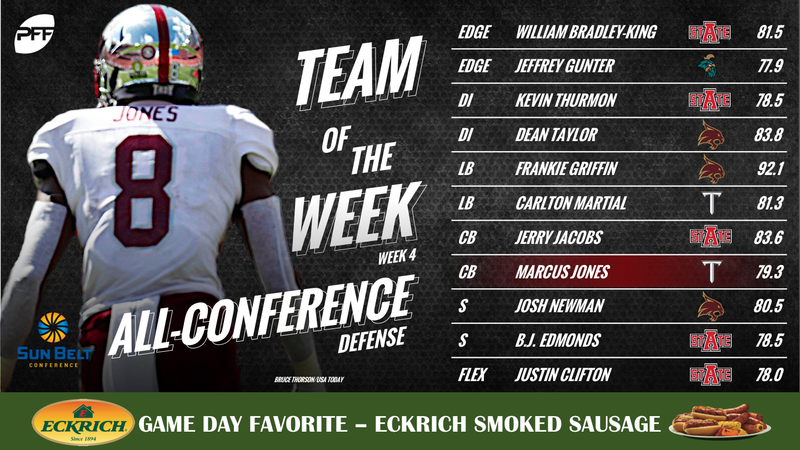 The Sun Belt Team of the Week is brought to you by Eckrich, the Official Smoked Sausage of the College Football Playoff.